Yes, it’s true and you read it right! There are multiple numbers of social media platforms out there which works for their profit and earn millions by the activities of its members, but never share an iota of it to its members. But here is an exception to this general business tendency. Here comes an amazing social media platform called WebTalk which provides all the facilities for its users free, above all it shares its profits with its members. Yes, that is something really amazing! Yes, Webtalk is no doubt an entirely different social media platform that is for sure and is going to make a big storm in the midst of the existing social media platforms. Yes, it will literally make an upside-down situation to the present giants in the social media. The main difference between Webtalk and other social sites is that you can earn a sizable income while involving in it. This site shares 50% of its income with its members/active users. Here the members are its original owners. Though it is in its Beta stage its a fast growing platform and millions are already joined in. If you join this platform as a Beta user to help grow the community then you will be eligible to receive up to 50% revenue for life. 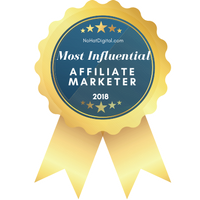 Once you join you can become an affiliate of this growing platform and can earn tremendous income as an affiliate marketer. For more information watch the Review video given below. Webtalk is almost like a combination of the best features of Facebook and LinkedIn added with more user-friendly features of many other social media clubbed in one platform. In short, it is an all in one platform which no other social sites so far thought about! More information on this, watch the review video given below. Presently one can join only by invite. Just like any other platforms such as Facebook, LinkdIn, eBay, Shopify and Amazon, every purchase made through Webtalk will involve a commission or transaction fee. Here Webtalk will share this revenue with its affiliate members, whereas others won’t share their profits with its members. That makes the uniqueness of this platform. So join in this platform now before its too late to make some residual income. The company pays its commission through 5-degrees of referral separation and is a limited-time offer to help grow the platform. Since it is in its Beta stage, you are getting a head start to grow your referral network before they start advertising the affiliate program after it’s launch. So it is the best time to join in to get the maximum benefits. Presently the platform accepts members only through an invitation from the existing members. You can use my invite link given below for this purpose. Also to know more about this amazing platform’s function watch the below-given videos. An Intro Video and A Review Video. We are very excited to be releasing several new products and services over the next couple of months (especially the affiliate program), but I’m most excited to share with all of you the final vision for Webtalk. Webtalk’s AI-powered Social Search Engine, paired with Webtalk Verify, will help create Due Diligence-On-Demand. Need a software engineer, accountant, lawyer, plumber, lawn service, babysitter, etc.? Need a company or product recommendation? You’ll soon be able to ask Webtalk via search, and it will pull the most credible options near you who are highly recommended by people you know and trust, and have been Verified by Webtalk. When you connect with users on Webtalk, you’ll see a link that says “add notes and values” near the “connect” button. When you click that link, it will enable you set a “recommendation value”. If you set it to +5, then it adds them to your inner circle of people who you trust the most. After the launch of the new AI-powered social search engine, it will use those ratings to automatically pull the recommendations from the people you know and trust to give you THEIR recommendations-on-demand. It’s like opening the black books of everyone you know at the same time, finding the overlap (the same person multiple people you know recommend) and then in one click learn everything about them by viewing their profile. We are also going to be adding a booking widget to profiles so you can hire and pay them without leaving Webtalk. This service will save you time, money and from potential disasters of hiring the wrong people. Exciting times ahead! Thank you for joining Webtalk and helping to spread the world! We are on a path to changing the world with your help! IF YOU HAVE ANY DOUBT ON THESE NOTES, YOU CAN SHARE YOUR QUESTIONS IN THE COMMENT BOX BELOW, WE WILL PROMPTLY GIVE SOLUTION TO FIX IT. HAVE A WONDERFUL AND PROFITABLE TIME AHEAD! Updated on April 15, 2019. Updated on November 19, 2019. Next Post: What is a VPN (Virtual Private Networks)? A Non-Technical Beginner’s Guide. Thanks for sharing it, now I am able to understand what is webtalk. I am still discovering the platform and I am very excited to be part of a new beginning in social media. Good to meet you, glad to know that you like the post. It is a new platform which offers a lot of benefits to its readers. Join now as it is in its beta stage the new members will earn more benefits. Thanks for sharing about this new social platform through this post. This looks like a very prospective platform. I will surely look into join this. Keep up the work by sharing such informative posts to your readers. This is my first visit to your page, will come again to read more. This social site is really an interesting one, as we are all involved in with so many social sites which never pays a single penny to its users, but here is a new site which gives or share its profits with its users. Looks very nice, will surely look into this new option. This looks like a wonderful social media platform. A platform shares its profits with its members. Sounds very good. Will surely try this platform. Yes, it is indeed a wonderful social media platform, which treats its members as its associates. And as it is in its beta stage those who join now can reap more benefits. Join now and enjoy the benefits. Thanks, Philips for this Great shout out, indeed this is a wonderful platform to join at once. I will surely join this and will share with my fellow friends online. This seems like a wonderful platform for all social media users to promote and get involved in for other activities. Good to know that it is a platform which carries the best features of Facebook and LinkedIn. Thanks for sharing. Good to meet you here, yes webtalk is a mixture of different social media platform’s best features in one platform. I am sure you will like it. Join in and enjoy the benefits. Thanks for sharing this posts and videos about the new social media site called webtalk. This looks like an amazing user-friendly platform for the online users. I will surely have a check and join. Keep sharing. Thanks for your maiden visit. I am glad that you decided to look into this new platform. I am sure you will like it once you join in. Thanks for sharing about this new social media platform. It is really interesting to know that this platform gives it readers a part of their profit. That is really a great initiative to note. I am sure this is the need of the hour. Since many top social media platforms never bothered about its users instead they use or leak their data to make a profit for themselves. As you mentioned this is an exception to such top social media sites. Webtalk is here to stay, and this will be a great threat to many giants here. This post is one of the best blog posts i have read…. Some more informative posts are part of this site. Thanks for sharing such a valuable information to your readers. I appreciate. Thanks for your visit here and the observations you made. Yes, it is no doubt a big challenge to the existing social media. As I said, this platform makes a big storm among the existing big platforms. I appreciate your views in this regard. Thanks for your valuable time here with a comment. Yes, Webtalk is really an amazing platform and the increasing growth is really great. A fast growing platform in its Beta stage, If you join now you will earn more benefits. Keep informed about the progress at webtalk. Thanks for sharing about this new social platform through this post. Now I am able to understand what is webtalk. I am very excited to be part of a new beginning in social media. Good to hear from you, yes, webtalk is indeed an amazing platform. Good to know that you joined the site. Keep me informed about the progress at webtalk. I am really happy to say that it’s an informative post. This is for the first time I am hearing about Webtalk. It looks like an amazing platform which shares its profits with its members. Oh, good this never happens with any of the so-called social media platforms. If this work well I am sure this will be the best in Social Media and FB LinkedIn etc will go down to memory lane. Anyways thanks for this wonderful shout out. I will surely check the credentials. You are doing a great job by sharing such information with your readers. I appreciate your efforts in this way. Keep it up. it looks like a wonderful platform. will surely check this new social platform, thanks for sharing the info. This is my first visit to your website. you have a lot of information filled in here, will visit again to read more. Hope you visited the site and joined, Once you join please let me know so that I can guide you further. Hi, this looks like a dream come true I have being contemplating on how social media sites can reward its users and here is a great example. Thanks alot for the information. Yes, this is really an amazing platform which rewards its members well. Nice that you liked the platform. This is my first visit to your website. I am hearing for the first time about Webtalk. it’is a great info for me. Thanks alot for the information. Thanks for your first visit here, I am sure you like the platform once you join, keep inform me so that i can guide you further. This is quite interesting, I never thought social Websites rewards, and now I understand about Webtalk share its profits with its members. This is really interesting and it is easy to understand and join free. This social media platform will really a great competitor for many other social media platforms. Thanks for sharing about this wonderful platform. Yes, it is really an interesting and useful social platform for all. Once you join you will realize the importance of it and you will invite others to join in. Keep inform me about it further developments so that I can guide you further. Yes, this social media platform is no doubt a unique one and millions already joined in and now its in its beta stage and once it completes that process surely the members will get benefited by their activities. Very cool concept! I wonder how successful they are today. I’m seeing a lot of platforms starting to emerge into this direction. User adoption is key to any new business, what’s even more interesting is user incentive. I wonder if this incentive emerged from blockchain related companies. Either way thanks for the post, great article!